Under Constuction-Please check back as we add new content. Welcome to WES art! In art class students will use their creativity as unique thinkers, explorers, and creators. Students in Pre-K through 6 will learn foundational skills in art and design in a hands on project based environment. In class, we will explore a variety of art making materials and processes including drawing, painting, collage, 3D explorations, clay, weaving, and photography. 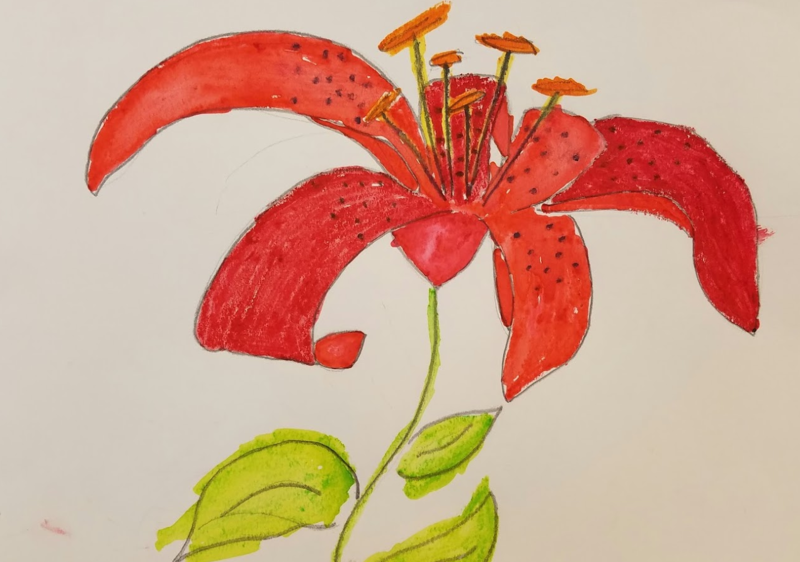 Students will create art works from imagination, self expression, and observation as well as explore famous artists, works of art, and topics connected to grade level learning including literacy and science. Students will learn the elements and principles of design including line, shape, color, texture value, form, and space in projects scaffolded through out the years. Students will learn, and be expected to use tools and materials safely and appropriately, and will be required to follow safety rules. Students are encouraged and expected to be helpful classroom stewards in sharing and taking care of the art room. Students are expected to show respect for peers, including sharing, being supportive of peer ideas, and working together collaboratively. K-2 Students will learn and practice foundational skills with a focus on exploration of materials, imagination, and learning drawing and art making fundamentals. In grades 3-6 students will learn and refine techniques and projects using higher level thinking and art making skills. 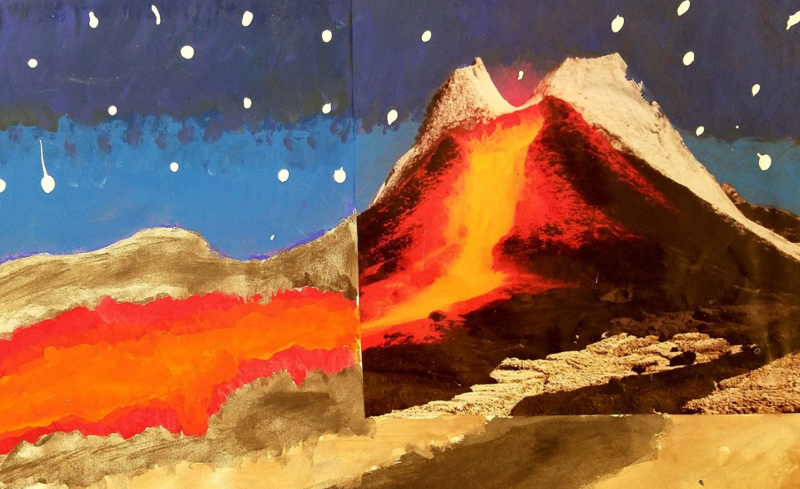 Students will create increasingly complex projects balancing personal choice, self expression, and projects connected to art history, grade level curriculum, and real world applications of art making. Students will work as a community and team to complete a class collaborative project for the WESE auction and/ or Art to Remember. Hello, and welcome to the WES P.E./Wellness site. The objective within our P.E. program is to establish an enjoyment of physical activity through a comprehensive collection of units. Students in Pre-K through grade 6 will have many opportunities to explore a variety of skills/activities in which they learn to enjoy, and hopefully utilize many of them throughout life. Basic skills are introduced/reinforced, depending on a grade level. My goal is that every student at WES discovers an activity/skill that they love, and continue that through a life time process. Some of our age appropriate units include tennis, speedminton, dance, cooperative games, snowshoes, Hula Hoops, Frisbee games, and more. Each of those activities are specifically designed for each grade/class. Most activities foster a sense of respect and courtesy for others, as well as social/teamwork building. All students are expected to be helpful and polite to each other. They also learn to be respectful of equipment. All students will also learn the bones/muscles of the body. Older students will gain knowledge of the basic mechanics in a certain skill. They will be able to verbally explain a process which describes how a student can be successful at a given skill. Some of those skills may include; how a child can kick a ball successfully, how an object can be thrown for short/long distance, etc. Students need to be prepared for their P.E. class with appropriate footwear/clothing. Their activity during class will be more enjoyable/safe with that expectation. WE PLAY! As early as PreK, we like to get our hands on instruments: xylophones, maracas, hand drums, rhythm sticks, shakers, triangles, finger cymbals, boomwhackers, guiros, cabasas…all in pursuit of using both hands to make rhythms, discovering the beat, creating patterns, and growing in our fluency in in reading, writing, creating, and performing patterns. WE SING! Group, partner, and solo singing is an engaging, expressive and eclectic enterprise as music makers: folk, world, popular, jazz, blues, country, show tunes, chants and finger plays, patriotic, pioneer, seasonal, and, whenever possible, songs that coincide with the classroom curricula We love songs that tie in to math, language, science, physical fitness, as well as songs about community, manners, sportsmanship, kindness, friendship, and the countless other topics that are relevant to our young learners. WE MOVE! Creative movement and dance are natural to children, inviting the whole body and imagination to be involved in expressing ideas with music. We like to stir imagination and build bilateral coordination by using silk scarves, tulle, hula hoops, ribbon wands, pom-poms, canes, lummi sticks, top hats, and for the older crowd- tap shoes. We like Circle Dances, Partner Dances, Line Dances, Mexican Dances, and Formation Dances a lot. We often have music class in the gym, which not only gives us room to move, but enables us to combine music classes with gym classes, which is a special treat our students. WE DO DRAMA! Children love to pretend, reenact, dramatize, choreograph, create props, scenery and costumes - and so do I! We love to revisit folk and fairy tales, recreate our favorite characters, rehearse and perform scenes from children’s literature, and jump at the chance to improvise. Our dramatic explorations serve not only our creativity and collaboration skills, but ultimately prepare us for the creation of our annual spring musical, a five month endeavor that engages every 6th grader in the various aspects of musical theatre production, and draws our school, family and community together for six live performances in the WES Auditorium. WE PERFORM! In addition to our weekly classes, we have many performance opportunities throughout the year. These include the Grand Tradition Piano Recital, a November 6th Grade Chorus Concert honoring our Veterans, class visits to sing for our friends at the Harper Center, First Friday Spirit Day morning music and school-wide assemblies, grade level or individual class performances on special occasions, holiday sing-alongs, band and orchestra concerts, and the 6th Grade Musical.